Ingredients: Saponified oils & butters of Olive, Coconut, Cocoa & Shea Butters, Avocado Oil, Lavender Essential Oil and Lavender Flowers. Castor & Meadowfoam Oils for extra moisturizing. Now with Alkanet Herbal Powder for beautiful swirled color! 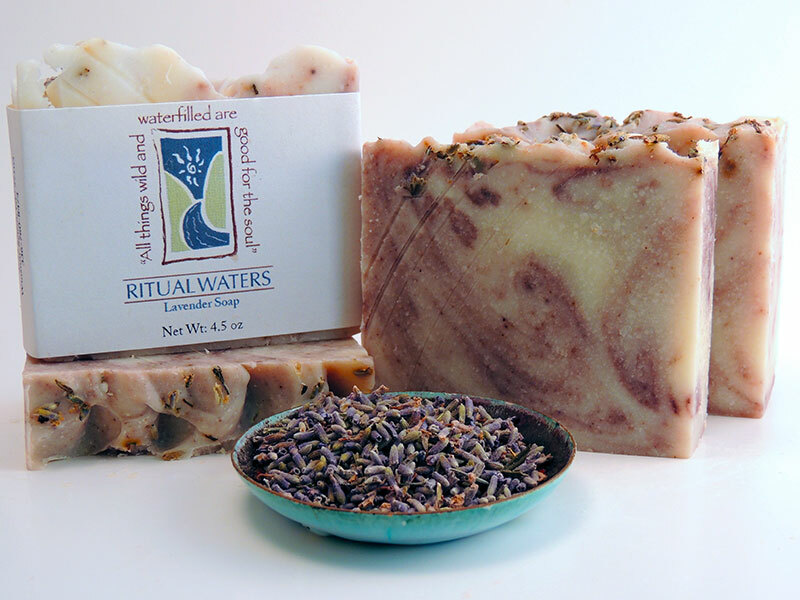 Lavender encourages comfort, awareness and emotional balance. From The Fragrant Heavens by Valerie Ann Wormwood.